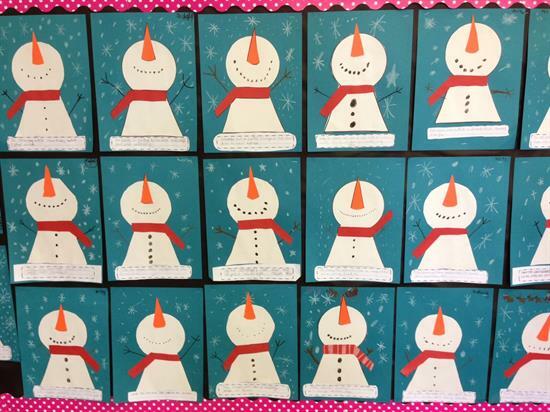 Home Bulletin Board Ideas Awesome Alliteration Activity & Super Snazzy Snowmen! 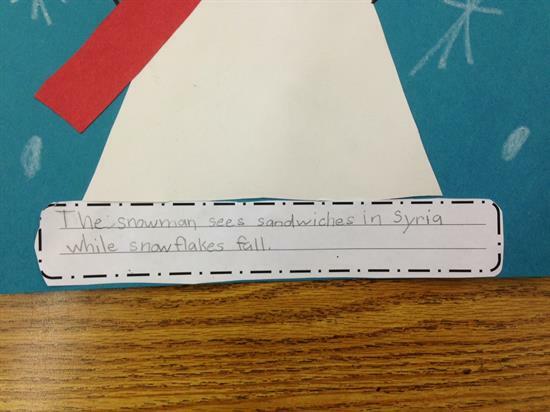 Awesome Alliteration Activity & Super Snazzy Snowmen! 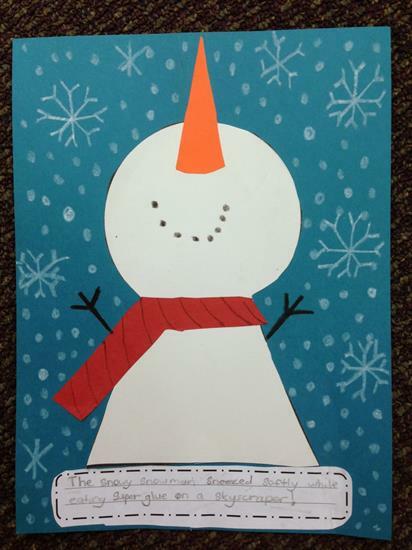 Cut a snowman shape from white construction paper - a circle head and trapezoid body - and glue the snowman to a piece of bright blue card stock. Add an orange construction paper 'carrot' nose and cut a scarf from colored paper. The rest of the details can be added with a black permanent marker and white crayon. Draw the mouth and arms with the marker and background snowflakes with the white crayon. 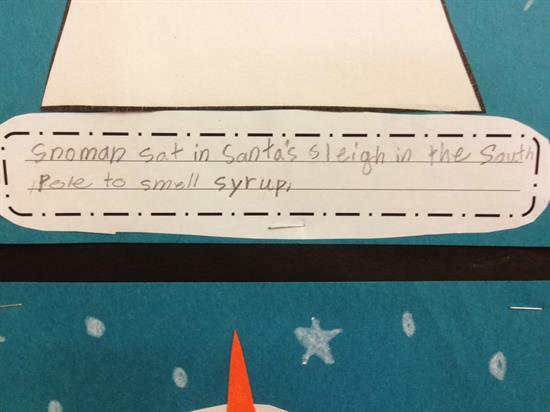 You can find this awesome lesson idea and more over at Apples and ABC's!! Top 10 Classroom Themes To Inspire Your Kids! Safari Themed Bulletin Board Idea - Featured Teacher of the Month! "Life in a Snow Globe" Winter Writing Craftivity & Display! 27+ Fall Arts & Crafts Projects for Little Hands! A Super 'Moo-arvelous' Farm Themed Classroom!